There is no such thing as being too safe, especially when it comes to hoisting and rigging, which involves materials handling, safely moving items from one place to another. Typically, hoists are utilized when materials are heavy, oversized or bulky, making them difficult to move. Hoists commonly use “slings” to move materials overhead using a crane or forklift. Slings are made from a variety of different materials. Most of the time slings are made from heavy wire rope, chains and mesh. Rigging describes the installation of lifting and rolling equipment, which is used after the material is hoisted. 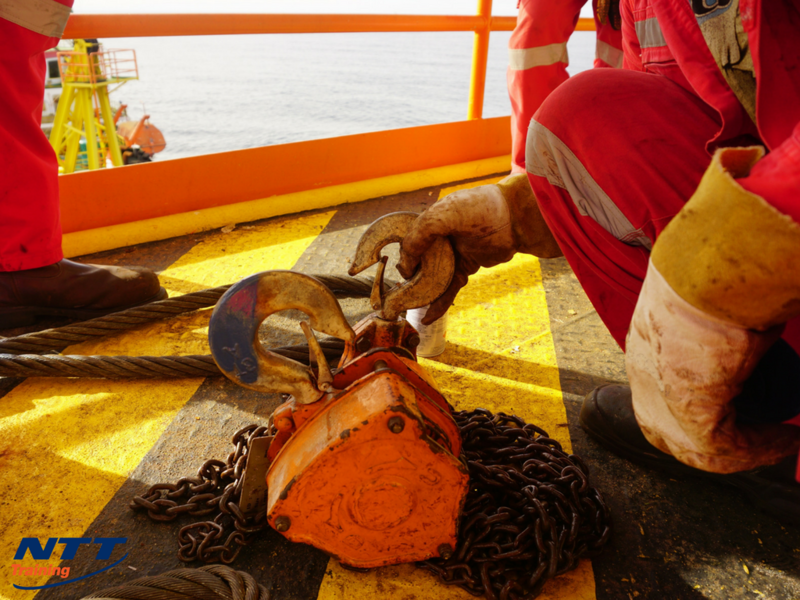 Rigging utilizes wire rope, turnbuckles, shackles and jacks along with cranes and other types of lifting equipment. Together hoisting and rigging is a process of moving items but if not done properly, can be a very dangerous job. According to The Center for Construction Research and Training, an average of 22 constructions workers were killed in crane-related accidents from 1992 to 2006. That said, proper training and continuing education is critical in keeping your team safe. How Hoisting and Rigging is Used in an industrial setting? Many industries rely on hoisting and rigging to complete their jobs. In an industrial setting the use of hoists and rigging is most frequently used in manufacturing and construction and other industries where the need to move heavy equipment and materials is present. How Important is Safety for Hoisting and Rigging Workers? Find out the weight of the working load limit (WLL). Don’t guess, you must know this information to make sure the right equipment is used for optimal safety. Make sure that all components are inspected to make sure they’re not defective, this includes hardware and slings. All defective equipment should be taken off site to make sure it isn’t mistakenly used by other workers. If working outside, be aware of windy and other hazardous weather conditions. Windy weather can cause the loads to swing and overload the hoisting equipment, which can fall and injure workers and damage the load should it fall. Be aware of other weather conditions such as sub-zero weather, rain, snow, dust and darkness. If any of these conditions exist, the lift should be rescheduled. Poor weather conditions can cause brittleness leading to breaks. Know where all electrical units are located. Electrocution is one of the most dangerous scenarios for riggers and hoisters. Make sure that all loads will clear power lines and other equipment. Employers considering upgrading their safety procedures and conduct employee training. They should make sure that the following topics are included in the program. If you’re looking to keep your employees safe on the job and looking for the best safety program for hoists and riggers, look no further than NTT Training’s Hoisting and Rigging Seminar. For more information about this and other important training programs, connect with NTT today.